Lease-To-Own YES! Rental? THAT could cost you a lot of money! 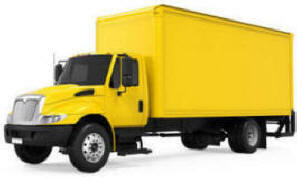 Are you renting a work truck week-to-week, month after month? You're probably spending way more than you need to! Check out the difference between what are spending now "renting" and see how much less you could be spending, owning. Get the numbers, Do the math. Start now. Get a Quick Quote Right Now - PRESS HERE! No Obligation! - This is for a quote, not the application. And our quote won't ding your credit! First Capital provides lease-to-own financing and TRAC leases for just about any truck or commercial vehicle that meets your business needs. We'll buy YOUR truck, from the dealer that YOU pick in the location that you pick, and at the lowest price you are quoted. YOU pick the right truck at the right price, from the right dealer, WE buy the truck (pay the dealer in full) and YOU PAY US over 24-72 months. All you need for a quote is the dealer's price, make, model, year & approx. mileage. Partial listing of the type of trucks we finance! NOTICE: All brand names or model names are mentioned "for example" only and are the property of the respective trademark owners. First Capital Equipment Leasing Corp (FCELC) is NOT a dealer, representative, reseller for or in any way affiliated with any seller of trucks or related equipment. FCELC DOES NOT SELL ANY TYPE OF TRUCKS OR EQUIPMENT, REPRESENT OR ACT FOR, OR AT THE DIRECTION OF ANY SELLERS of vehicles or equipment, manufacturers, or dealers, nor does FCELC received remuneration or consideration of any type from any sellers. NO MAINTENANCE REQUIREMENTS No "wear & tear" or condition restrictions. New or Used Vehicles -- No Problem! Install any equipment, paint, decals and/or modify vehicle as necessary. Purchase from ANY dealer of your choice. ONE PAGE APPLICATION to $75,000. 2) Fair Market Value Lease - ("FMV") Truck Lease. Return the truck at the conclusion of the lease, OR purchase the truck for its Fair Market Value, OR continue to lease the truck. A TRAC lease is a special type of FMV truck lease that guarantees the end-of-lease residual price for the vehicle in advance. TRAC stands for (Terminal Rental Adjustment Clause). A TRAC lease allows us to calculate the end-of-lease residual (buyout) at the beginning unlike an FMV lease. CALL for details on TRAC leases. The LOWEST monthly truck lease payments. Lower payments than equivalent conventional truck leases or loans. Minimizes AMT (Alternative Minimum Tax) ramifications as the lessor retains all depreciation, while passing on the lowest possible monthly lease payments to the lessee. More: The TRAC lease is a unique variation of the FMV lease in that the risk and reward of ownership is transferred to the lessee via the "terminal rental adjustment clause" (TRAC) at the start of the lease. This lease is generally treated as a 100% tax-deductible operating expense, not a capital acquisition. When the truck is returned, the lessee will be entitled to any sale value realized in excess of the projected residual value of the truck and similarly responsible for any shortfall below the projected residual value of the truck. (Such "pre-determined residual" valuations would automatically invalidate a traditional FMV lease for IRS purposes, but are acceptable in a TRAC structure.) TRAC lease generally require somewhat stronger credit.